Changes in the tax code for 2018 have made many question what it means for filing tax forms this year—as the filing deadline winds down for taxpayers. Experts from area tax preparation companies and other programs have, and continue to, work to assist locals in filing their 2018 federal income tax returns. Getty Images Tax season comes to a close on Monday. 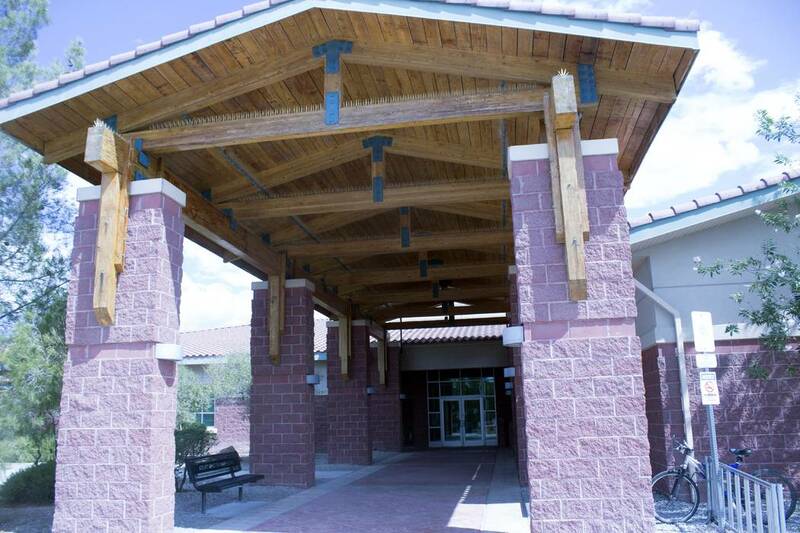 The last mail collection is at 4:30 p.m.
Jeffrey Meehan/Pahrump Valley Times Dozens of people visited the Pahrump Community Library on April 5, 2019 for help filling out their taxes. Representatives from the Las Vegas-based Nevada Free Taxes Coalition assisted in electronically filing forms for their 2018 federal taxes. H&R Block/Special to the Pahrump Valley Times Shelby Harris, senior tax specialist and office manager at the Pahrump H&R Block at 250 S. Highway 160, Suite 3. Tax day is April 15. 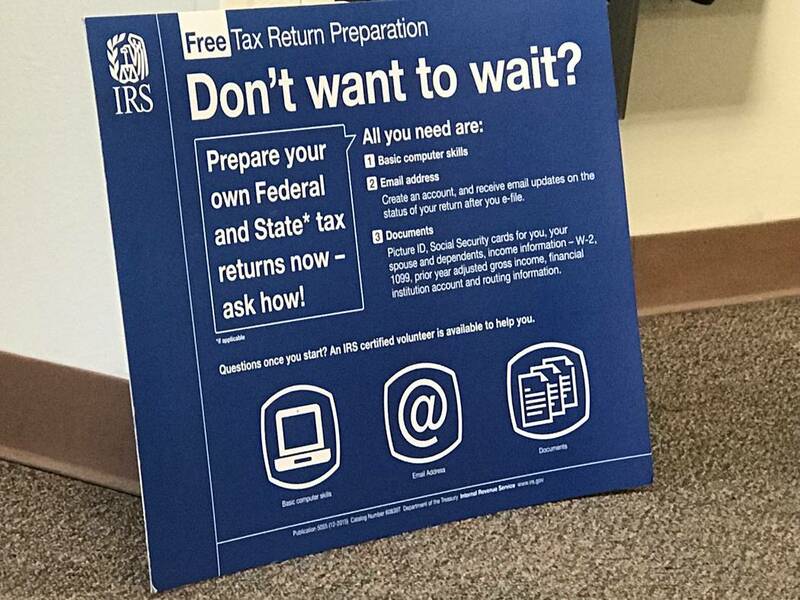 Jeffrey Meehan/Pahrump Valley Times Dozens of area residents stopped at the Pahrump Community Library on April 5, 2019 to get assistance filing their 2018 federal income taxes. Representatives from the Nevada Tax Coalition, which administers the IRS' Volunteer Income Tax Assistance program in the region, were there to assist local taxpayers. Jeffrey Meehan/Pahrump Valley Times The post office at 2300 Postal Drive in Pahrump is open until 5 p.m. on tax day, April 15. The post office can be reached at 775-727-7055. 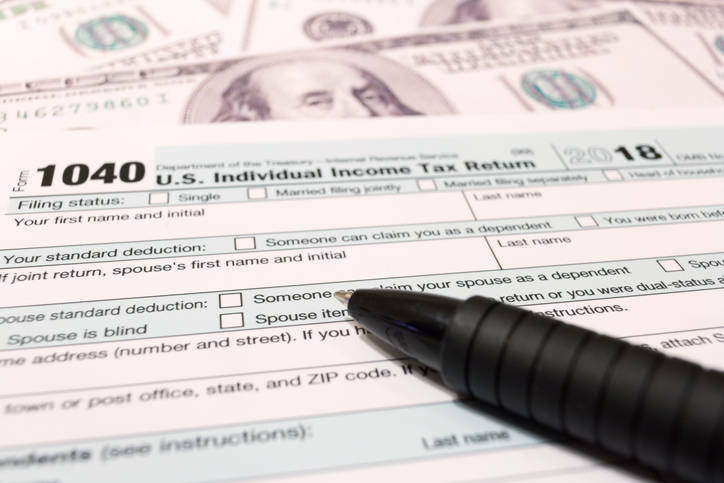 Several changes to the forms used to file 2018 federal income tax returns have been made this year with no need to go hunting for 1040 EZ or 1040 A forms. For 2018, there is only one form, a redesigned 1040 with a set of schedules that taxpayers might not need to fill out, depending on their tax situation. “It’s all just a 1040 and then like five or so schedules that you have to attach, depending on your other forms of income,” said Shelby Harris, office manager and senior tax specialist at H&R Block’s Pahrump office at 250 S. Highway 160, Suite 3. Other changes implemented for 2018, the first year since the passage of the Tax Cuts and Jobs Act was signed into law in 2017, include the implementation of a higher standard deduction for individuals and married filing jointly and others. The standard deduction nearly doubled for some filers in 2018 in comparison to the 2017 tax season. “Another change that we have this year is we have a higher standard deduction, so that’s impacting a lot of people,” Harris said. Additionally, the child tax credit was doubled from $1,000 to $2,000 per child under 17 at the end of the 2018 tax year (Dec. 31, 2018), according to information at irs.gov. Check irs.gov for additional stipulations on qualifying for the child tax credit. One of the most noticeable things this tax season might be for those who itemize with many of those deductions no longer available. “For people that used to itemize, some of them are no longer able to. It’s better to take the standard,” Harris said. Taking a deduction on unreimbursed work expenses, which could be travel or other expenses related to someone’s job, is no longer an option for taxpayers this year. Harris gave an example of a trucker who has a lot of travel expenses. Another group of taxpayers, those who receive a 1099, are prevalent in the Pahrump area. 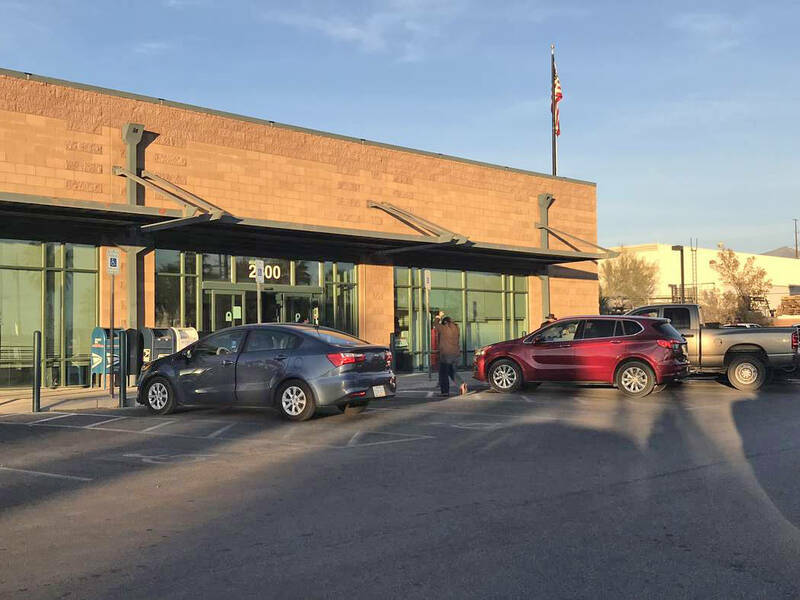 “We’re seeing a lot of those folks with the Uber drivers and Postmates,” said Pat Smith, program director for the Nevada Free Taxes Coalition in Las Vegas—which administers the VITA (Volunteer Income Tax Assistance) program in the region. Individuals in this tax situation have to pay self-employment taxes, Smith said. One of the ways to reduce a tax bill for some is mileage. The change in the tax code also brought about another situation. “… One of the things that happened is a lot of the employers, once the standard deduction doubled, a lot of employers went in, because the tax tables changed, and people weren’t realizing that they were getting the money during the year in instead of getting it as a refund, or they weren’t having enough being taken out, so then they got hit with oh, now I owe quite a bit,” Smith said. The Nevada Free Taxes Coalition visited the Pahrump Community Library in early April and helped dozens of taxpayers file their returns. The coalition assists low to moderate income taxpayers with filing their taxes and works under the IRS’ Volunteer Income Tax Assistance program. Smith said the coalition works through a grant from the IRS and from monies given by small corporate donors. The coalition visited Pahrump during this tax season from January to April and helped at least 200 area residents file their taxes electronically. More information can be found at nvfreetaxes.org. To reach the area H&R Block, call 775-727-6611 or head to the office near Albertsons grocery store at the shopping plaza 250 S. Highway 160. For taxpayers looking to mail their return, the post office at 2300 Postal Drive in Pahrump closes at 5 p.m. The post office on 2300 Postal Drive in Pahrump is open until 5 p.m. on Monday. The Pahrump post office can be reached at 775-727-7055. The IRS has put a notice out stating it encourages taxpayers to visit irs.gov for common questions refunds, payments and forms and instruction due to the high volume of calls the agency receives during tax season. The irs.gov website can be viewed on a PC and is also mobile-friendly. Information about a taxpayers federal tax account can be accessed through the “View Your Account” tab at irs.gov. Tools such as a withholding calculator are also available 24/7 at irs.gov. Over 70 percent of taxpayers qualify to use free tax software through IRS Free File. To reach the Taxpayer Assistance Center, call 844-545-5640 from 7 a.m. to 7 p.m., Monday through Friday.